One of the more unusual and least played albums in my collection is Spaceways: A Salute to Ace Frehley from the mid Nineties on which people like Sebastian Bach, Gilby Clarke, Tracii Guns, Dimebag Darrell and others lined up to pay tribute to the original guitarist in Kiss. We say "original" because the Kiss story has seen him sidelined a few times, sometimes at his own volition. The tribute is unusual because, unlike other such tributes to a guitarist (Hendrix, Clapton, Stevie Ray Vaughan et al), Frehley has hardly been in the vanguard of the instrument. In fact, he doesn't even appear in top 100 of Rolling Stone magazine's great guitarists. And in this candid and enjoyably readable book Frehley -- who comes off rather smarter in some instances, and dumber in others, than you might expect -- rarely makes great claims for Kiss or his contribution. If he thinks an album or one of his solos was good he says so, but equally he can be dismissive. That kind of self-awareness runs through these pages and when he gets away from the usual drug'n'alcohol stupidity (all his stories are "guess you had to be there" anecdotes), he tells a good story of a guy who just wanted to play guitar, party and meet his heroes, but found himself inside a machine driven mostly by bassist Gene Simmons who didn't drink or do drugs, but did read the bottom line on everything and was always looking for ways to make money out of the Kiss brand. Simmons -- who rarely seems to have done Frehley any favours, except save his life when he was drowning once -- comes off a friendless, unscrupulous and often ruthless character more concerned with a business model than the music. 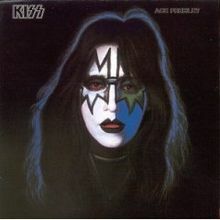 Frehley however was a kid who ran with low-level street gangs and had lots of friends, enjoyed a supportive family (his mother took him to his audition and he didn't move out of home until after Kiss took off), fell prey to alcohol early on and seems to have been an irresponsible but likable stoner. When the first Kiss album came out he went and bought one from the same store in his neighbourhood where he'd bought albums by Hendrix, Led Zeppelin and the Who. 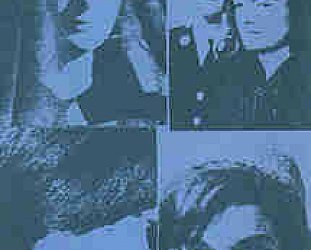 There is the inevitable unravelling through alcohol and drugs, the marginalising by Simmons and Paul Stanley, and all those things which make for a Behind the Music episode. Yet through it all Frehley would have you believe he was just there for a good time, and he certainly had that. 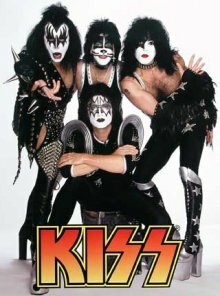 Along the way he offers insights into the business around Kiss, how he had doubts about how commercialised the thing became (the lunchboxes, action figures, dolls etc didn't seem very rock'n'roll) and how increasingly the band became a parody of itself. The music suffered. But you have to admire the work ethic. 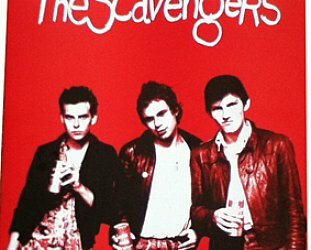 Four albums in their first 18 months, including the massive selling Alive! which was anything but "live" as he reveals in detail. And the juggernaut just kept on rolling, with Simmons and Stanley at the wheel. You know that when all four members recorded those simultaneously released solo albums he felt vindicated and proud when his outsold the others and was the most well received by critics. He says he couldn't believe Simmons would have someone as uncool as Helen Reddy on his solo outing. Simmons and Stanley had no street sense at all, he says. 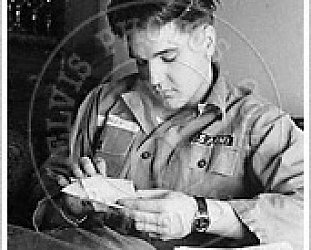 "[Gene] had lead a very sheltered, straight life. But his take on certain things was incredibly cynical and jaded . . . It was always about making money, advancing and expanding the brand. 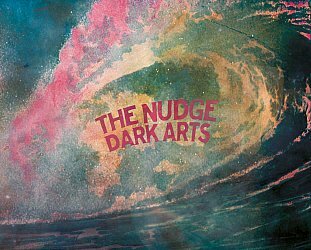 It was never about art. Never about music. Never . . . I didn't know what was going through Gene's mind. But I could alway see dollar signs reflected in his eyes." So yes, there is some of this retribution -- he says Simmons and Stanley have recently edited out his appearances in videos, and in compilations dropped his presence -- so maybe it is justified. But more than that, Frehley tells his story without moralising, is honest about his shortcomings, and rarely self-aggradising. 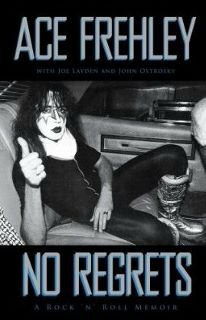 You may never want to acceopt a ride from the accident-prone Paul "Ace" Frehley, or argue he should be in Rolling Stones top 100 guitar player list, but he writes a much more interesting and self-aware autobiography than you might think. But on the cover, despite the thumbs-up in the back of the limo, you don't have to look too hard behind the face paint to see the sad boy already a bit lost in it.